Heya folks! Today we got something special for you. Something you’ve been asking us about for a long time. That’s right, we have updated our animations. And to show it off, we prepared a trailer for you, which you can see below. This trailer will demonstrate the difference between the old and new movements. It focuses on the main character, since Reed will be taking a lot of your screen time as you play the game. 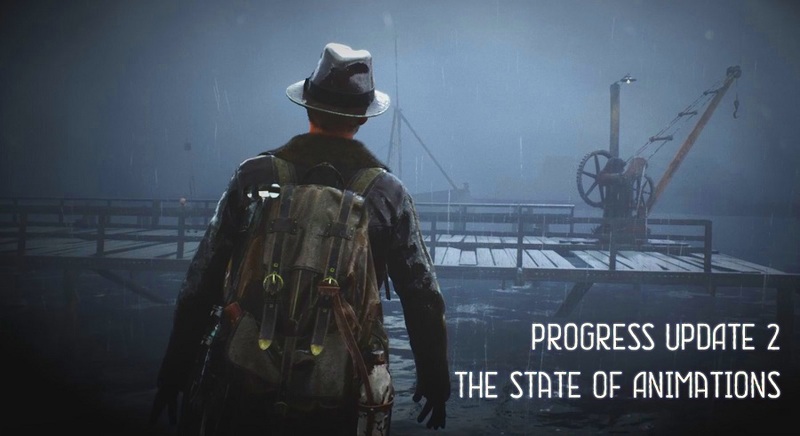 The video demonstrates the changes in his walking and running animations. You also can take a glance at the behind the scenes of our motion capture process, that shows the technical effort behind this result. In addition , our animation team added new insanity movements that will play out when the main character is under a lot of stress. Reed will act differently depending on the severity of his mental breakdown. The lower his sanity go, the harder it will be to maintain control, without wanting to put a gun to his head. Last, but not least, we will show you several animation sets that we used to create other characters, including random passers and even otherworldly entities. To make them move in a realistic, yet creepy way, we invited professional artists. Take a look at the result we have achieved!